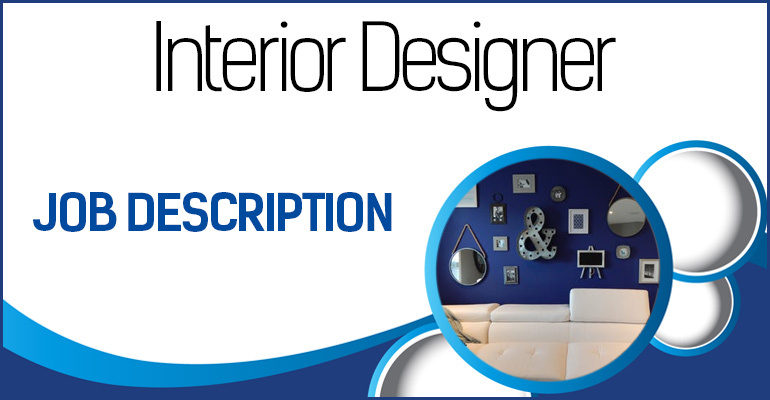 An art director job description screams creativity and management abilities. This person works in the film, advertising, or marketing. Regardless of the industry, art directors are responsible for leading the creative direction of the project. The title director dictates that this person also needs to have leadership ability and motivate people to work together. Therefore, the art director job description will vary depending on where they work. This specific article reviews the basic responsibilities, essential skills, education and experience required, work schedules, and career outlook. After reading this article, you should know what an art director does and if this is an interesting career to you. Leading the art team and establishing the vision for projects are the two pillars of an art director job. While you need an excellent portfolio to land the position of creative director, once in the position, it is more important to delegate design work to the team. Therefore, every art director job description implies a strong portfolio. These professionals need to manage the budget and ensure that a project gets completed on a deadline. 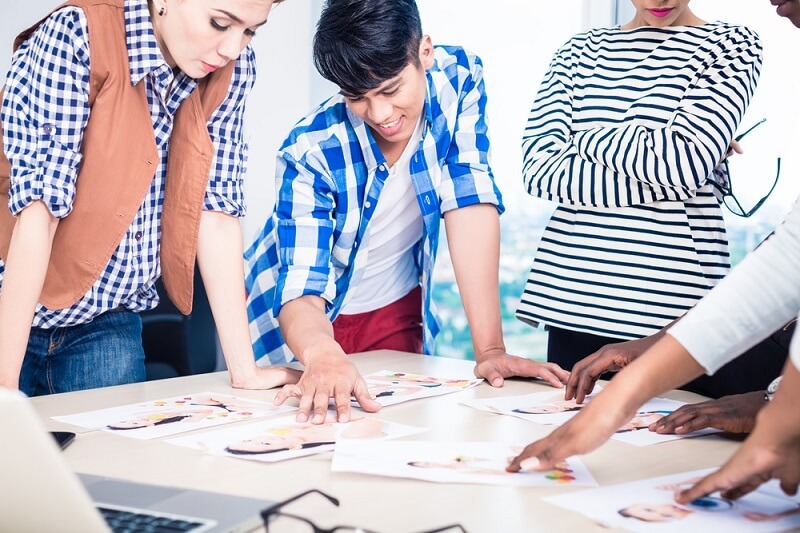 An art director must validate the work of the design team and plan for how all the different components will work together to create a visually pleasing product. A common education path is to earn a Bachelor of Arts degree in a fine arts related field. Extensive experience is required before becoming an art director. The median art director salary is $89,760. This is a slow growing field and one severely impacted by technological developments. Putting one’s creative vision into practice through the creation of projects or multimedia is essential for an art director. The below-listed responsibilities detail this process. Use these statements as builders in your own resume. Work with clients to understand the needs and scope of a project. Manage the creative team and delegate tasks as necessary. Design which art to use in various projects. Inspire the staff to produce their best work in all projects and strive for excellence. Work with other creative directors to communicate clearly on what each department is doing. Develop a budget and adjust as necessary during the project. Establish a reasonable timeline and track progress periodically. Visual design skills. These professionals must be able to envision what the final product should look like. Therefore, they need to create sketches or storyboards to move from concept to finished product. Professional development skills. Art directors must stay dedicated to their craft and engage in regular training. Communication skills. Art directors have to talk to many different stakeholders. That includes clients, other units within the company, art directors, and their design team. Additionally, they must effectively communicate with all of these groups of people. Creative skills. An art director must take the words or rough drawings that a client gives them and turn them into works of art. This often requires bravery and an artistic eye to ensure the client’s satisfaction. Art directors need a bachelor’s degree and prior work experience as part of a typical art director job description. Most of them will major in an art related field. Obtaining a Master of Fine Arts degree is important to show the desire to assume a leadership position. Art directors need to have their bachelor’s degree. However, there could be a rare exception for someone who has several years of experience that they do not need a degree. Most of their majors are in art or design related fields. Additionally, they could have majored in graphic design, visual communications, or fine arts. During their time in school, they need to accumulate a portfolio of work to start working in the field. There are no specified licenses required to practice as an art director. It is really the portfolio and right person for the job that matter in the design world. That being said, art directors are expected to continually learn and invest in their own development. This could be through taking a class on a new technique or attending a workshop for art directors. Prior work experience in an art-related field is absolutely required. Also, it’s preferable to have prior leadership or management experience. Most professionals have at least 5 years of art experience. However, a student should not wait until they have graduated to start gaining experience. Students can begin adding to their portfolio as soon as or even before they start school. This portfolio should be made publicly available and should showcase your very best work. A tip from a hiring director states that the portfolio needs to be memorable. Everyone qualified for the job will have a similar collection of work. Therefore, it is the unique, daring, or controversial piece that will make the portfolio unforgettable. Most art directors work full-time. It is very normal for an art director to be a freelancer. However, even they need to work in a collaborative environment and have people on the project to manage. In a description of what an art director does in a day, it is evident that they have to stay current in the field. Additionally, they should meet with clients, manage the creative team, and stay on track with timeline and budget deadlines. For all of these activities, communication skills are absolutely essential. Art directors will see a 2 percent job growth through the year 2024. This is lower than the average for all jobs. The major reason why the growth is slow is because of the impact of electronic media on the publishing industry. Art directors who are familiar with electronic requirements and vector scalable graphics will have a strong competitive advantage. The median art director salary is $89,760. Art directors who work in the motion picture and film industry have the highest overall salary at $106,630. However, those who work for newspapers and periodicals have the lowest salary at $75,480. The industries that have the highest percentage of art directors employed are advertising and public relations. Those are followed by newspaper and periodical publishers, design services, motion picture and video industries, and retail trade. This art director job description showed that they have a very rewarding and creative job. However, they still have to deal with the normal constraints of budget, time, and resources. The job market is slow growing and extremely competitive as many qualified artists will vie for this position. Those who are successful will get to envision a project from start to finish and guide the team toward success. 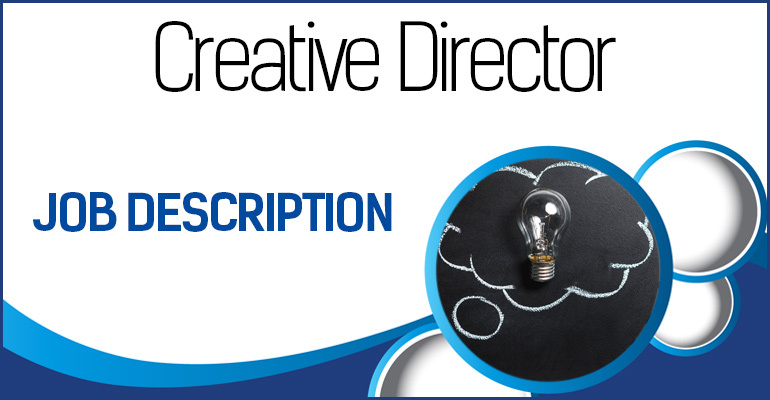 In addition, you can look into the creative director description to see if it’s the industry for you.